To install using CocoaPods, ensure that you have installed CocoaPods itself by running the following command. This can be done by cd‘ing into your project using your computer’s terminal application, and running the cocoapods init command. This will create a Podfile. Within this file, add the GoogleMaps dependency. The Podfile might look similar to the below. Save the file, and within the same directory, run the pod install command to install the cocoapods repo. If this is your first time running the install command, please note that it might take a while to complete! As the last lines suggest, close your Xcode project and re-open it by clicking on the [YOUR_PROJECT_NAME].xcworkspace file. Let’s assume you have a simple single view application. Amend the AppDelegate.swift file and import the GoogleMaps library just underneath the UIKit import. Within the application() function, include your Google API key here using provideAPIKey() from the GMSServices library. 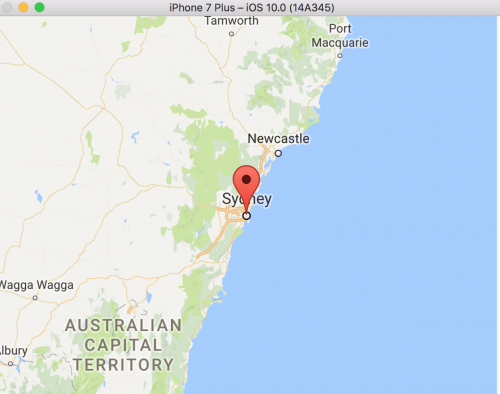 To obtain the API key, head to the Get API Key link and enable the Google Maps SDK for iOS. Save and build your project within Xcode, and you should notice that your view now shows a map!